Being a Pastor is Complex! After reflecting on my growing up years as a pastor’s kid and now with 12 years of pastoral ministry experience myself, I have concluded that being called to pastor a local church is incredibly complex. Mind you, this is not a new revelation but the reality of this truth keeps on hitting home regularly. There are so many variables at work in pastoring a church. The local church is a volunteer based organism filled with people from a multitude of backgrounds and perspectives, all with their own unique wrestles and challenges. As a pastor you can’t make people do anything, and yet God has entrusted you with the responsibility to shepherd, feed and lead people into the full stature and image of Christ, who often don’t want to go where God is calling them because of the pull of the sinful nature. At the same time you don’t have the leverage of $ to assert your authority and when you do ask for people to give faithfully to the creator of the universe, it’s met with all sorts of skepticism and suspicion. You are expected to change the world and everyone in it with limited practical resources at hand and when anyone has one of life’s deep questions to ask, of course, the pastor is going to be able to answer it perfectly because they have spent the last 25 years studying just to answer that one question. As a result of all this complexity, my dependence on God is growing daily and I know that God has asked me to plant and lead a church, as much for my own sanctification, as for the fulfillment of the Great Commission. I know more than I did 12 years ago but I need God more each day than ever before. Planting a church from scratch adds to the complexity. I never wanted to plant a church but in God’s sovereignty he called me to this work and it has been both a privilege and a painful experience to answer that call. Over the last, nearly 6 years we have seen Activate grow from 13 people meeting together in a lounge room to now over 400 people connecting with our wider church community every week, complete with a much larger budget, a 400 seat auditorium, offices, meeting rooms, guest lounge, kids city facilities, cafe, and op shop as well as extensive missional activity in the wider community, including feeding the homeless, life groups, activate academy, gender based ministries and the list goes on. 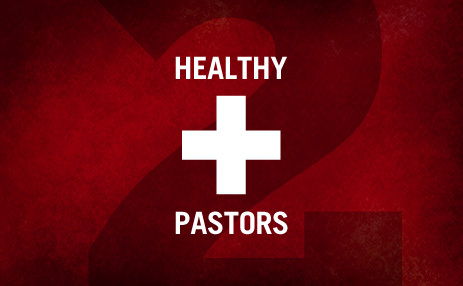 Pastors deal with all sorts of expectations from people, from God and from themselves. Some of these expectations are real and some are simply perceived. At times you feel like you have to be all things to all people from counsellor to fund-raiser to wedding planner to professional mourner to career advisor to worship leader to administrator to teacher to evangelist to wise sage to mentor to business guru to everybody’s best friend and the complexity compounds. Coupled with this are the personal issues in your own heart you wrestle with daily and the dreams and desires you have for your own personal future. How should we respond to this? So glad you asked. Begin with the Bible, not your feelings! Passages like 1 Timothy 3:1-7, Titus 1:5-9, Ephesians 4:11-16, 2 Timothy 4:1-8, Hebrews 12:1-3, 1 Peter 5:1-4, Matthew 20:20-28, Philippians 2:1-11 are foundational to a biblical understanding of the pastor’s role and vision for local church ministry. God never called you to be the Messiah! This job has already been covered by Jesus. You haven’t been asked to die on a cross to reconcile man back to God. Jesus was and his work is now finished. This truth helps you keep the burden of responsibility in check. God is Sovereign! This grand truth helps me sleep at night when I end a day with doubts, uncertainties and loose ends. I believe that God’s sovereignty are the bookends of life and ministry and as a result, I stay mildly sane. I planted, we are all watering but God gives the growth. Do what God has called you to do, not what everyone else expects you to do! You will lose the plot if you try to be all things to all people to gain their approval and favor. Enough said. Enjoy the journey, not just the outcome! Pastors love results. We get a spiritual high when the dashboard comes in and all the stats are heading north but are you enjoying the journey or just enduring it? Create a healthy release valve! Exercise, friends, movies, dates nights, hobbies and holidays are all important aspects of life that need to be incorporated within your weekly, monthly and annual rhythm. Keep loving God and people! Ministry is about connecting people to Jesus and Jesus to people. Don’t get distracted from the main thing – the GOSPEL works! ← Perseverance of the Saints!